Cheers to a jolly good Thanksgiving weekend! Fall on the rusty side. Miso & Avocado 5-Minute Egg Cup. Six Sinful Takes On Fall Cravings. Bell Bottoms: Thumbs up or down? Autumn Hair: Messy bun with braided band. Recently I discovered that a jazzy nail polish colour makes for the perfect chilly weather uniform accessory. So, in the beginning of autumn, I promised myself that I'd make more effort to paint my nails regularly to look the part and feel more sassy. The plan is that every week or two I'll try a new colour that I haven't tried before. So if you fancy joining in, here are 5 different colour palettes and individual shades that I'm excited to wear during the next few months, starting with the snazzy shades of blue above. Blue: 1. Lady Muck, 2. Natty, 3. The Perfect Cover Up. Grey: 1. Body Language, 2. Dove, 3. Chinchilly. 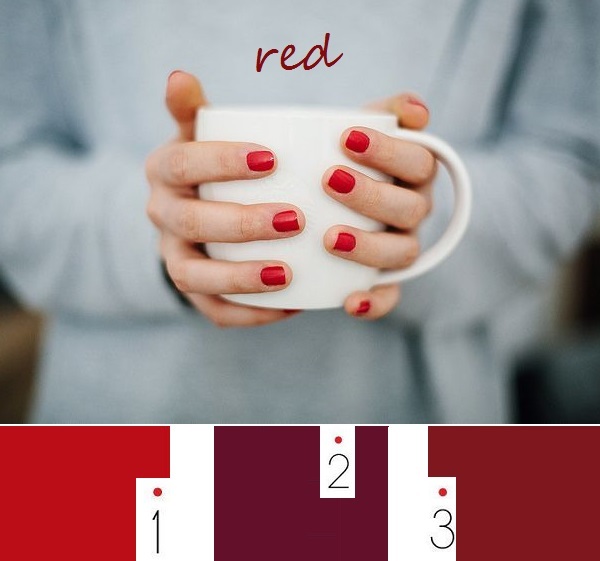 Red: 1. Pillar Box Red, 2. Blair, 3. Dress To Kilt. Brown: 1. My Empires My Rules, 2. Fierce, No Fear, 3. Very Structured. 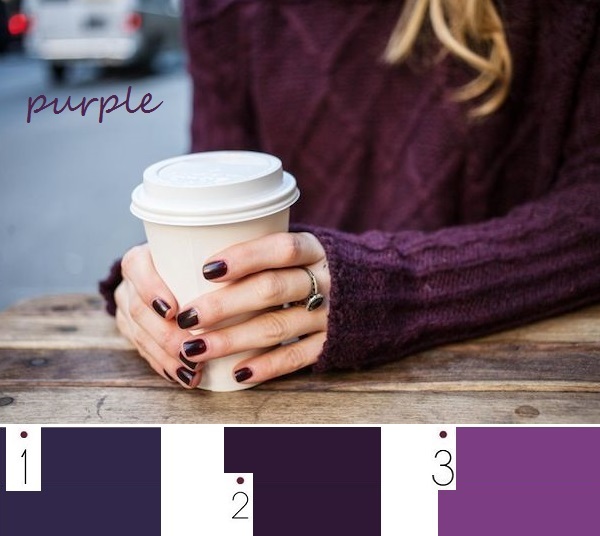 And purple: 1. Damsel in a Dress, 2. Just a Little Dangerous, 3. The Lace Is On. P.S: Also, oxblood nails and golden eye. P.P.S: How to wear layers like a true Parisian. I also like gold paired with winter whites! 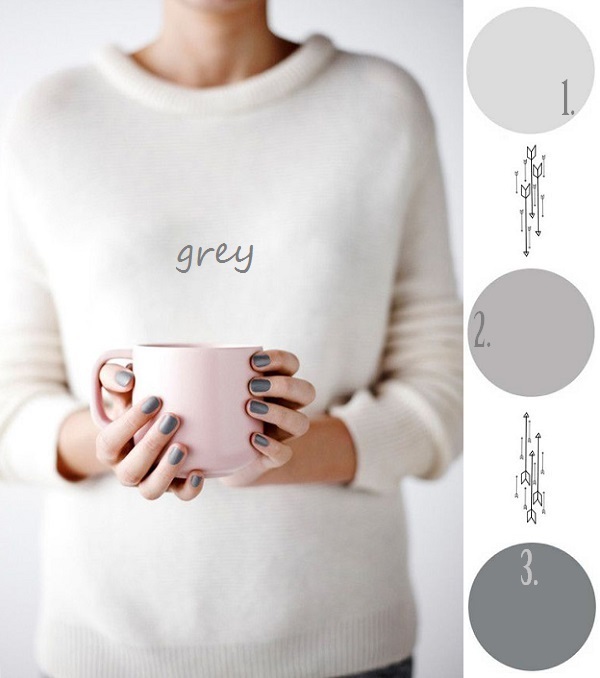 love the grey! i've been wearing essie's mink muffs and i really like it! My favorite purple will always be OPI´s Lincoln Park After Dark. I definitely tend to reach for darker shades as the temperature falls, and this year I am really feeling the dark blues! I have 100+ bottles of nail polish, but actually don't wear it much anymore. My nails were stained and I read it's unhealthy to wear all the time. I do have my nails painted Essie's Really Red now tho! I like pink in the spring and summer and the more saturated reds for winter. One of each of these please! I can't decide which color is my favorite! Probably... I 'd pick the first, blue one. This color looks fantastic and I'm sure that it's not difficult to find clothes which look good with blue nails. I love this post! 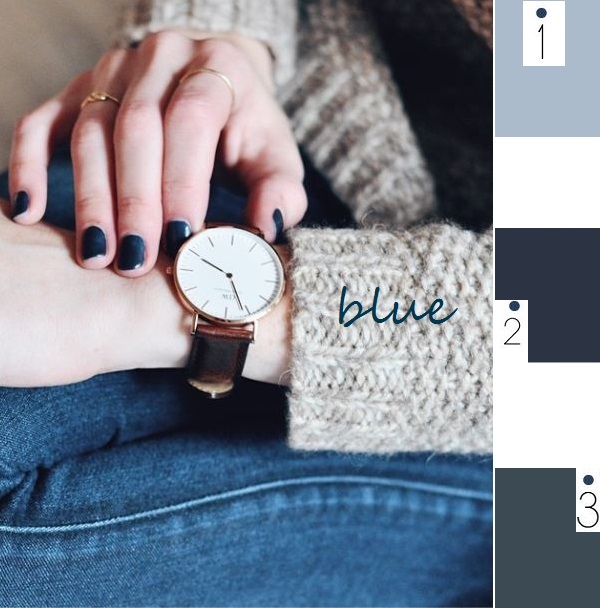 I tend to go for oxblood in the fall and winter but I really love the idea of trying shades of blue and gray too. That sounds so lovely and festive, Sara! Martie, OPI´s Lincoln Park After Dark is beautiful, indeed! Elisa, same here. I love darker shades for cooler months. Marcela, blue goes great with pretty much everything. Sara, oxblood is fantastic for autumn!